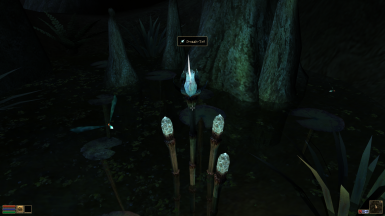 Fix for Graphic Herbalism: The lights from glowing Mushrooms and Flora will now disappear as they should after being picked. Dejunai says : "Feel free to use it anywhere you like, with proper credit". I can be reached on here (PoodleSandwich2) if you have any questions or advice on creating compatibility versions. Please get in touch with DremoraLord98 before doing anything with Immersive Seyda Neen Lite, and jsp25 before doing anything with Mines and Caverns. Thanks to jsp25 for letting me upload a compatibility version for this mod, of his fantastic Mines and Caverns﻿. 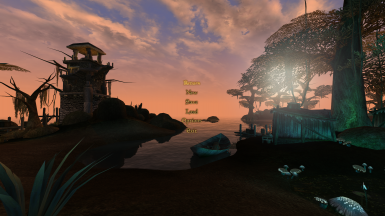 You will need to download the assets from his page here: https://www.nexusmods.com/morrowind/mods/44893?tab=description﻿ to play this version. Use only this esp. Because this is an edit of jsp25's mod, please do not alter or re-upload it without his permission, thanks. Thanks to JViterbo for inspiring me to make this! Load Order: Please load this BEFORE True Lights and Darkness, if you are using it. 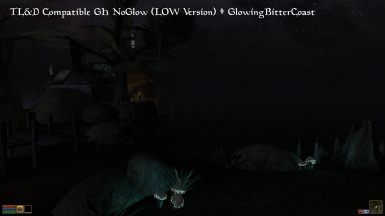 I am uploading this for Dejunai, who made this much needed add on for Graphic Herbalism, that makes the glow from glowing flora disappear when picked. Dejunai mistakenly changed the color of the glows to white, rather than a mix of blue-greens as seen in the original game, but kindly fixed the issue when I brought it to his attention in a PM. Without time to upload, he gave me permission to host this. I have also created some alternate versions for compatibility with True Lights & Darkness and Immersive Seyda Neen Lite. Enjoy! This is an ADD ON to the fantastic MOD "Graphic Herbalism" by ManaUser. "Graphic Herbalism" by ManaUser is REQUIRED. "Graphic Herbalism" removes or changes 3D art of Flora when Harvested. when the 3D art is removed. "Graphic Herbalism" by ManaUser must be loaded before this ADD ON. 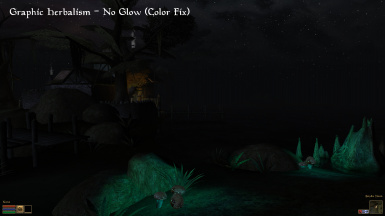 This MOD makes changes to lights near glowing mushrooms and flora. 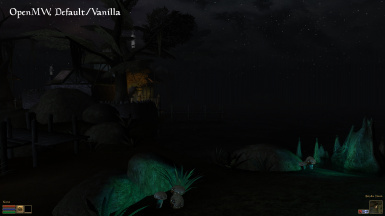 Flora to be removed when the 3d model is removed by "Graphic Herbalism"
With this version, instead of flora glowing pure white as in dejunai's original﻿, they will more closely resemble their vanilla counterparts, glowing in various shades of blue-green. Also included are alternate versions for True Lights & Darkness by Booze and a compatible version of Immersive Seyda Neen Lite, my stripped-down edit of DremoraLord98's Immersive Seyda Neen﻿. What Do the Different Versions Do?? 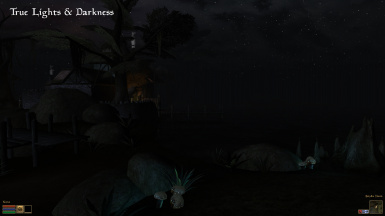 Screenshots are included above of the same scene with different mods and versions. Graphic Herbalism - No Glow (Color Fix) TL&D HIGH = This version is designed for people using 'True Lights & Darkness' who prefer a more fantastical look. It is more in-line with how glowing flora appears when running 'Graphic Herbalism - No Glow' without True Lights & Darkness. 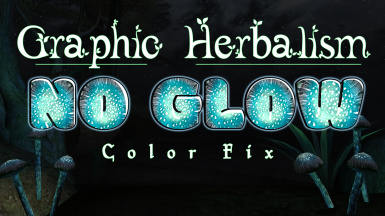 Graphic Herbalism - No Glow (Color Fix) TL&D LOW = This version is designed for people using 'True Lights & Darkness' who prefer a more realistic look. 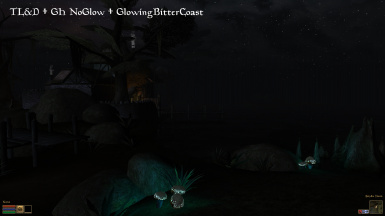 It is more in-line with how glowing flora appears when running 'True Lights & Darkness' without Graphic Herbalism - No Glow. Use this version INSTEAD OF the original Immersive Seyda Neen or Immersive Seyda Neen Lite (ISNL) when using GH No Glow. I have experienced some strange behavior (barrels and crates spawning inside one another) when loading from a save that used a previous version of Immersive Seyda Neen or Immersive Seyda Neen Lite with the compatibility version checked instead. This probably means that save cleaning is in order if you're not starting a new game but I am not entirely sure of the ins-and-outs of all that, answers and insights welcome in the comments or in a PM. Dejunai says: "Feel free to use it anywhere you like, with proper credit, which now includes [PoodleSandwich]". 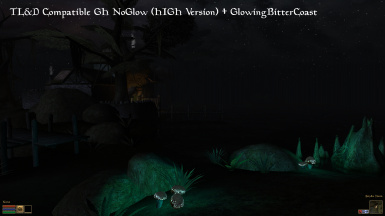 If my understanding is correct, because of the way this mod works, any mod that adds growing glowing flora (Luminous Russula, Violet Coprinus, Draggle-Tails) will need a compatibility version making. Feel free to go ahead and do this, providing you have permission from the author of THAT mod of course. Do not attempt to edit this mod in the CS without Graphic Herbalism also checked. You will end up waving mushrooms around like torches (not as cool as it sounds). Feel free to get in touch with me for advice on compatibility edits as I may be able to offer some insight (thanks to abot for his help in the forums). 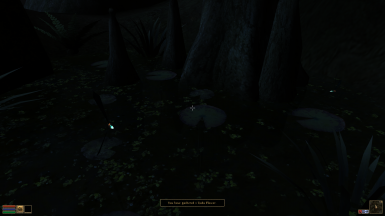 I attempted to create a compatibility patch for Morrowind Rebirth but it was a massive pain and halfway through the process I read something that said that Graphic Herbalism itself wasn't even compatible with Rebirth anyway so I gave up, sorry abelthorne.